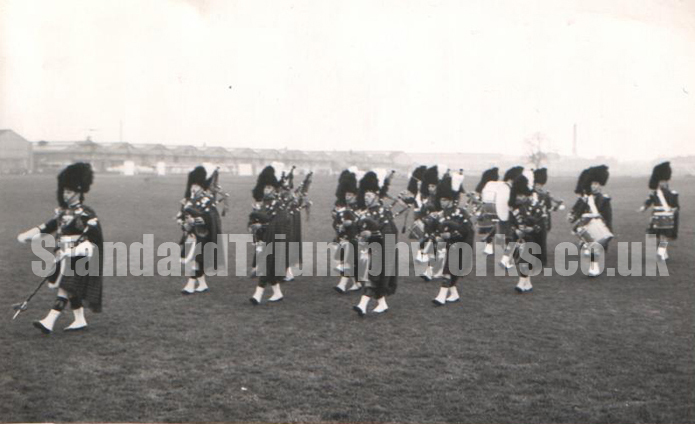 Following on from the previous Standard Triumph Pipe Band article here are a selection of additional photographs. 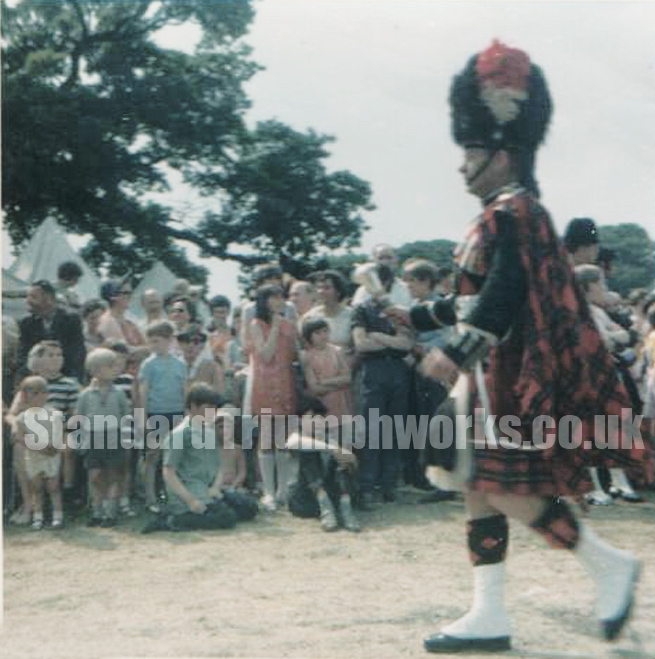 Mr Alan Gillies father was a piper in the band and he remembers going to the band hut as a child with his father for band practice. These first two pictures were taken around the 1950’s. This particular photo looks like the Recreation Ground at Canley with the works seen in the distance. Can anyone confirm this? These two colour photographs are by Hellene Williams. 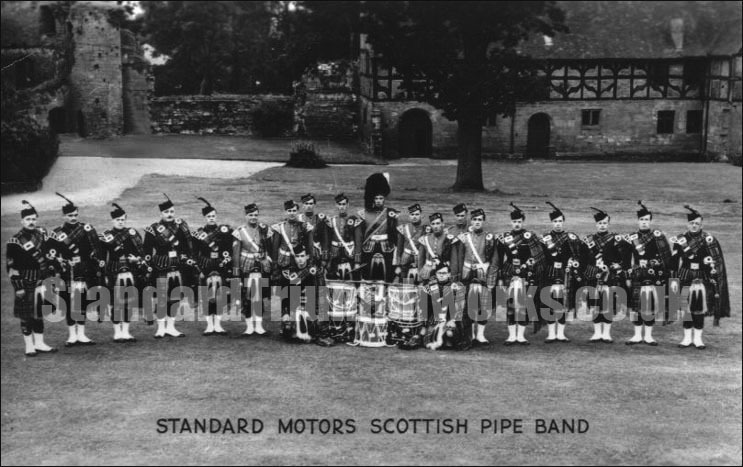 Her father, Ted Graham, was a Piper in the band and later took over as Drum Major. The colour pictures show Ted leading the band. 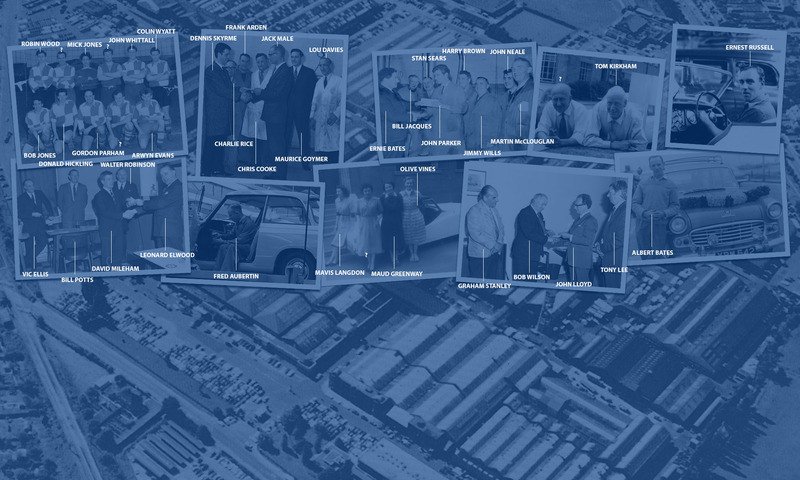 The dates of the photographs are thought to be 1950s/1960s. 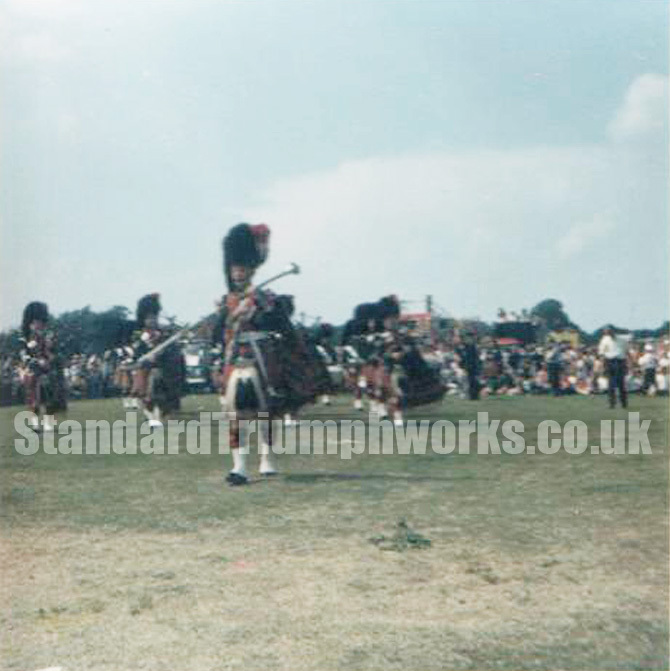 The scene could actually be anywhere, as the band played at many functions and carnivals – could this be a Gala day on the Standard Triumph grounds?